Once you have been granted an account you will need to login to the head node of one of the clusters. All the clusters run Linux and you will need to be comfortable working with the command prompt. If you have had no experience with the Linux command line interface we run training sessions or we can give you a very short crash course. Alternately there are numerous web articles on how to use the Linux command prompt. You will need to download a ssh client. We recommend PuTTY from http://www.chiark.greenend.org.uk/~sgtatham/putty/download.html. Save putty.exe to your C: drive and run it. 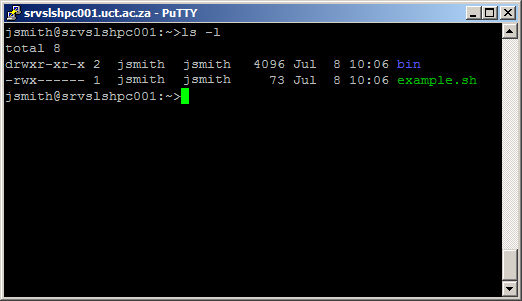 Enter the hostname of the cluster, for example hex.uct.ac.za, and click Open. 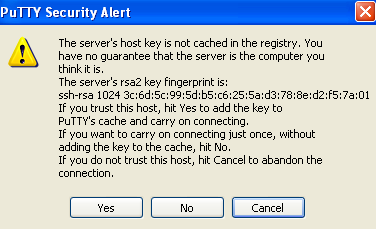 The first time you do this answer Yes to the security alert. Now enter your username, press enter, then enter your password and press enter. You are now logged in. Type ls -l and press enter. Here we see a folder called bin and a file called example.sh. To navigate to the bin folder enter cd bin. To move back again enter cd ..
To exit from the cluster type exit. It is beyond the scope of this document to discuss editing files or submitting jobs. Note the ‘.’ at the end of the last example. 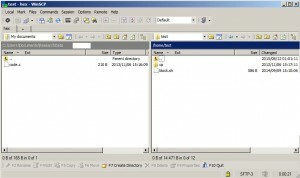 Alternately you can download a graphical interface such as WinSCP. 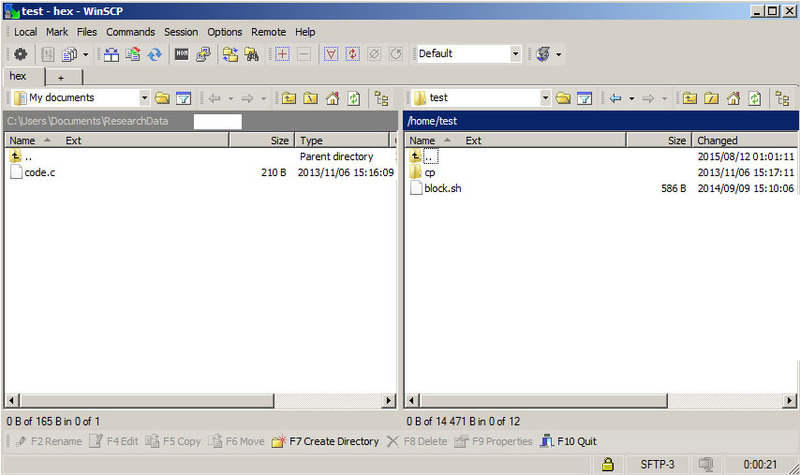 You would login to the cluster in much the same fashion as above, except you will be presented with a dual pane graphical interface similar to Windows Explorer where you can drag and drop files between the data transfer node and your computer. Most Apple MAC OS’s come with ssh and scp preinstalled. From Applications, Utilities select Terminal. to transfer files from and to your computer. If you are using a graphical interface you can launch the command line from the menu. In most distros it is called the Terminal, in the example below, Ubuntu, it is found under Applications, Accessories.